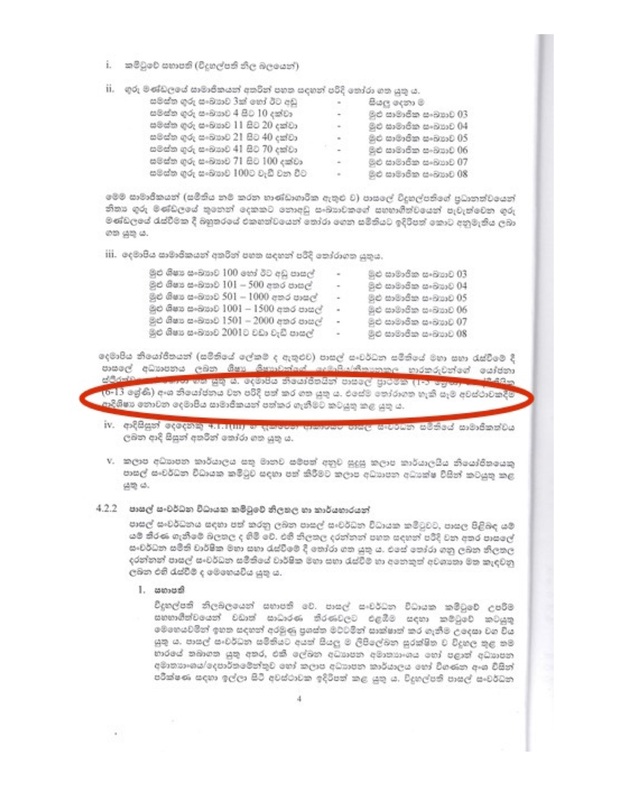 Parents of children attending various governmental schools in the country have filed four petitions in the Court of Appeal seeking a Writ of Certiorari, to quash a provision included in a recently issued circular by the Ministry of Education which prevents parents who are past pupils, from being elected into the Executive Committees of their respective School Development Committees. The School Development Committee (SDC) is the executive arm of the School Development Society (SDS) in state schools and is the only recognized body by the Ministry of Education that effectively gets involved in running the financial management and administrative affairs of the government schools. This unfounded clause had been included to a circular on “Planning and Procurement for School-based Quality, Quantitative and Structural Development” (26/2018) and issued on 22 June last year and was to come into effect on 1st January 2019. The petitioners who are current parents of children who are attending various schools in the country such as Ananda College, Royal College, Nalanda College, Visakha Vidyalaya, Mahamaya College, Dharmaraja College, Mahinda College, Maliyadeva College, Mahanama College, Thurstan College, D.S Senanayake College and Kingswood College have named the Minister of Education, the Secretary to the Ministry of Education and the Attorney General as respondents. The petitioners, also allege that the said circular, by requiring it to be implemented during the month of January 2019, aims to prematurely end the terms of office of incumbent ‘School Development Committees’, prior to the completion of their respectful full terms of office. They also allege that in the totality of the attendant facts and circumstances of the case, the impugned provision in the said circular, violated the principle of legitimate expectations and the rule against bias, the rules of Natural Justice, violation of Fundamental Rights, and Proportionality. This sudden inclusion of a specific clause to an issued ministerial circular wanting to exclude parents who are past pupils of the same school from being elected, raisers serious doubt. Questions are raised as to why the Ministry of Education wants to exclude a specific segment of a school’s parent population from engaging in affairs related to school’s finances, management and administration. After all it is this segment of people who really keeps a check on the expenses of the school. Coincidentally just two days prior to the day these petitions were to be supported in the Court of Appeal, the Ministry of Education publically announced the cancellation of this circular. They stated a flaw relating to collection of funds by school authorities. Usually such flaws are corrected by a simple amendment, but in this instance this sudden U-Turn by the Ministry of Education makes one wonder if it really was due to the reason sighted, or a covert step back in light of the cases that have been filled. In another blunder, the official ministerial communiqué referred to it as a “suspension” although the Minister of Education announced it as a “Cancellation”. That raises even greater doubts as to the manner in which this circular is being twisted and turned and the underlying reasons. Sources with knowledge of these happenings, are of the view that the ministry had decided to ‘suspend’ the circular in a move to circumvent an adverse court order against the circular, with the hidden motive of reintroducing it once the court proceedings complete. Reliable sources within the schools education system, say that all this is happening in an era where strong ‘Anti-Past pupil’ sentiments are being established and propagated, with the support and blessings of the incumbent Minister of Education, his close bureaucratic advisors comprising of ministerial additional secretaries and certain Principals of a few leading schools. Therefore it is not surprising to see subtle changes being brought into important circulars to distance old boys and old girls from the school administrations and management, eliminating a vital stake holder group, which in the best interest of their respective schools, would always be a ‘whistle blower’. Invoking the jurisdiction of the Court of Appeal, the petitioners alleged that the impunged circular, amongst other things, unfairly exclude parents who are Past Pupils from standing election to the School Development Executive Committees (SDEC) of Public Schools. Considering the submissions by the counsels for the petitioners, the two-judge bench, comprising of Honorable Justices Deepali Wijesundera and Arjuna Obeysekere decided to issue notice on the respondents’ returnable on the 28th of February 2019. 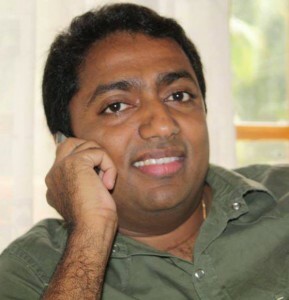 The petitioners were represented by four Presidents Counsel K.Kanag-Isvaran PC, Sanjeeva Jayawardena PC, Manohara De Silva PC and Uditha Egalahewa PC, along with Attorneys-at-Law Shivaan Kanag-Isvaran, Amarnath Fernando, Charitha Rupasinghe, and instructed by Ashoka Niwunhella. Earlier Colombo Telegraph on the 3rd of July 2016 published a story titled “No More OBA/OGA Panelists For Grade 1 State School Admissions: Education Ministry”. 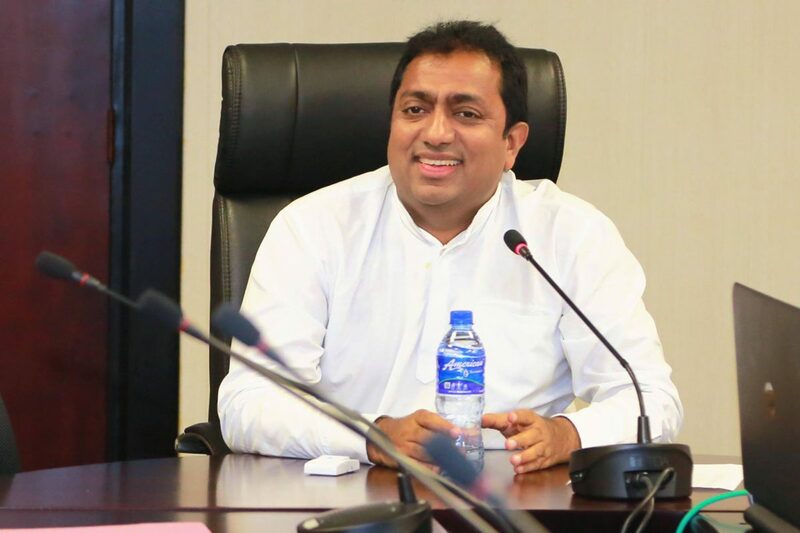 In that expose it was highlighted as to how Akila Viraj Kariyawasam the Minister of Education made every attempt to prohibit members of the Past Pupils Associations of government schools from sitting as panelists’ for the interviews and intake of new students. In that particular instance the three additional secretaries of the of the Ministry of Education were quoted as Hemantha Premathilake (former Nalanda College Principal), Senani Hewage (former D S Senananayake Principal) and Illangasinghe (former Isipathana Principal) who were said to be members of Minister Kariyawasam’s advisory panel who formulated the circular. 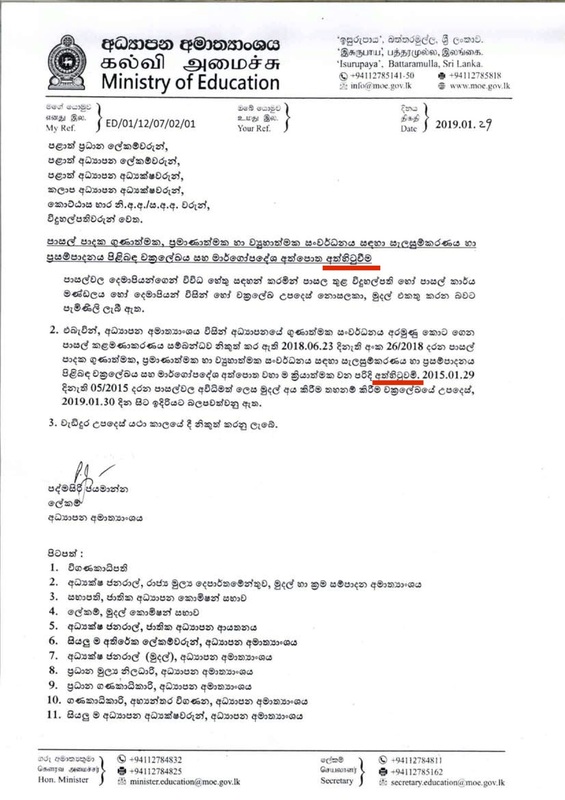 Ironically even the current issued circular being challenged in the Court of Appeal has also been orchestrated by Hemantha Premathilake (previous Additional Secretary – Educational Quality Development, former Principal of Nalanda College) and Ratnayake (current Additional Secretary – Educational Quality Development, former Principal of Maliyadeva College, Kurunegala and DSS College, Colombo). Widespread sentiments resonates that the Ministry of Education especially after Minister Akila Viraj Kariyawasam was appointed as Minister of Education have now on multiple occasions made sinister moves to sideline the OBA’s/OGA’s, who play a huge role in the day to day affairs of their respective schools. This move if succeeded creates a path for Ministry of Education officials to plant their sleuths in respective schools of their choice. A prominent member of a leading OBA said “We require stringent checks and balances and need to ensure corruption is eliminated in government schools in every way. The Ministry of Education’s attempt to eliminate us opens the flood gates for widespread corruption especially in areas with reference to finances, student intake and in many other numerous ways”. Exclusion of a selected group causes discrimination. When contributions are made some contributors seek deciding power over matters. The minister’s decision to exclude past pupil parents might be to manage that factor. It’s well known fact that some past pupils crazily believe that the school they had their education is their private property. Some parents make contributions & expect their children to be prefects, members of sports teams etc. Some parents attempt to make extra friendships with class teachers & seek favor for their children. Even our politicians seems to have that attitude; discriminatingly overspending public funds on the schools where they had had their education. Some times it goes beyond any civilized levels by favoring students from that schools to find good jobs. So the minister should exclude all the parents from SDCs & let the teachers & senior students only to decide matters. Internatioal schools are Privately funded and he is allowing day by day to increase number of thsie schools which promote the religious devide in Srilanka. He is destroying A grade Schools in Srilanka to promote his Closest schools is the best school. Anyway, as long as the Bond thief and his list of ministers and cabinet are there, UNP won’t be a formidable party. Vajira KAryawasam include one page of his own introduction to school books. I hear people compalin the history of sri lanka is changed every year and School syllabus also changes every year. This circular does not exclude this says in all possible occasions. Because their should be diversity in SDEC. The schools named here are all in Colombo. Yet again shows that Colombo is where the ‘action’ is. The Colombo-centric political elites run the country by themselves and for themselves. As an aside: What happened to that Uva CM who forced a school principal to kneel? Dharmaraja, Mahamaya College, and Kingswood are in Kandy. Thank you SJ for the correction. the critics of real revol. is verily correct.but without the support of OLD students schools cannot be developed in some areas such as extra curricular activities and sports in some extend development plans and administrative matters as well. some principals have know knowledge on modern day necessities of the youth and their carrier developments. most of them has no back born and not good/smart decision makers, some are merely behind money in such situations old students do a big job for the school and work as back born .